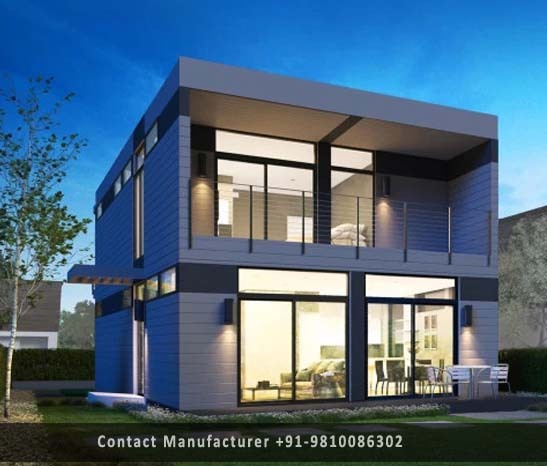 Prefabricated Homes Manufacturer in Delhi, Prefabricated Homes Supplier in Delhi, Prefabricated Homes in Delhi. We have carved niche in the industry by offering an impeccable assortment of Prefabricated Homes. The offered prefabricated home is designed by our highly skilled experts in compliance with the set industrial norms utilizing superior quality material. Offered prefabricated homes are accessible in various customized options so as to meet the demand of customers. Also, this prefabricated home is inspected on well-defined parameters of quality in order to provide a perfect range at clients' end.